When your building or structure requires not only optimal natural airflow, but maximal noise reduction, Airocle’s range of acoustic louvres provide the perfect, innovative solution. 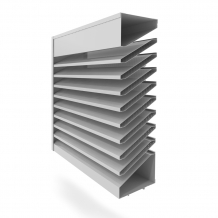 Based on over 30 years of research and development, Airocle’s range of acoustic louvres have been designed to maximise natural airflow with a free open area of up to 46% offering perfect temperature control for your installation. Noise reduction properties have been rigorously tested in Australia’s leading testing centres and Airocle’s louvres achieved high noise reduction performance in most extreme operating conditions. 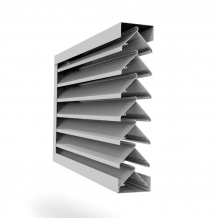 To offer a complete solution, our range of acoustic louvres can be customised to provide full weather-proofing as well as protection from birds, insects and vermin. Please call 1800 805 062 for product specifications.